This is one of the best pieces of sustainable design that I've come across so far. 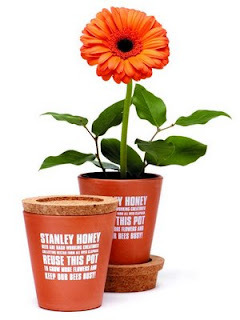 Honey in a plant pot, you grow a plant in the plant pot when you're done for a flower for the bees to make more honey! Clever, clever. it's so simple and re-usable and just....smart.